Copies floppies quickly in 1 pass, C source included. frequently copy disks a lot of time. 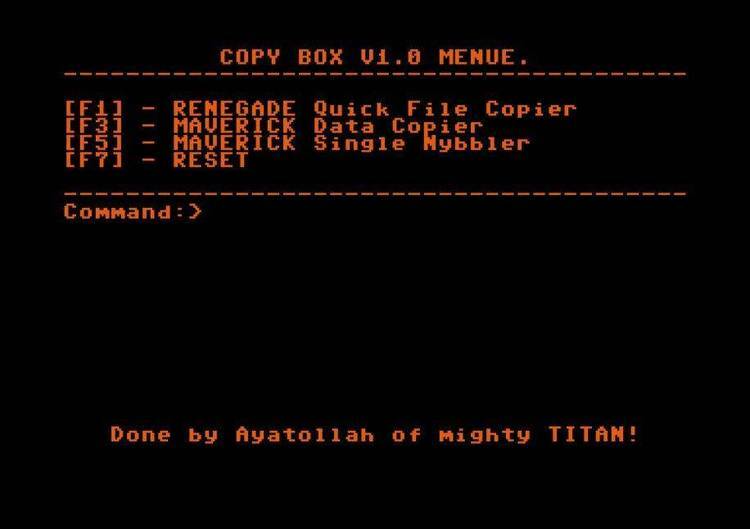 reports) free, a DISKCOPY of a 1.44 MB floppy can take four to five swaps! DISKCOPYing the same disk shelled out from Lotus may take 8 to 10 swaps! first sector's track, sector, etc., information directly. 2) QDC *DOES NOT* format the destination disk like DISKCOPY does. works like DISKCOPY's asking you "Copy another disk (y/n)"
The command syntax for QDCM is the same as that for QDC. favorite and works well with QDC. thus eliminate the hassle of the RAM DISK. QDC 1.0 is NOT Public Domain Software! Why Should You Register QDC? a poor college student who worked a long time on QDC. Use of QDC by any military establishment is VERBOTEN. Peace, dudes!